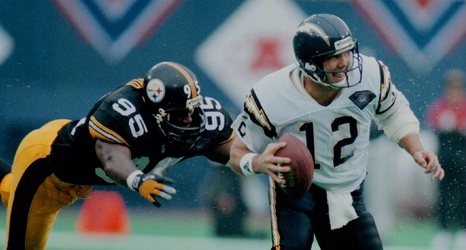 Related Topics: Pittsburgh Steelers, Kevin Greene, Division No. 5, Alberta, Steeler Nation, Maurkice Pouncey, Rod Woodson, Darren Perry, Greg Lloyd, Sr.
BTSC continues to search for the best and most-memorable Steeler team to not win a title. Last time around, you voted the dominating 1976 defensive-led Steelers over the No. 1 seeded 2004 team that went 15-1 as a rookie QB set records. 1976 heads to the finals. Here’s the final tally. As we head into the second matchup of the semifinals, the No.